domitronic has no other items for sale. Immediate payment of AU $134.99 is required. 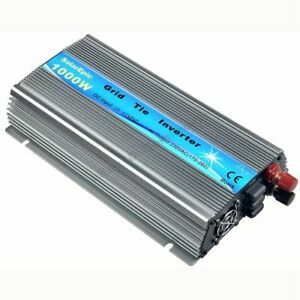 I have tested this inverter running at around 600W and found it to be very efficiently with only about 5% loss of power (95% efficient). My last two grid tie inverter were blowing mosfets all the time but this one seems to be ok, so far. Top value for money when you don't have a lot to spend. I choose the 80amp controller because it will handle the wattage I need and is able to handle a heavy gauge wire.